Edward M. Bazzylewicz, formerly of Chelsea, died unexpectedly in Worcester on Wednesday, September 30. He was 67 years old. He was born and raised in Chelsea, the beloved son of the late Adalbert and Olga (Osowick) Bazylewicz; brother of Roberta Monkiewicz and her late husband. Anthony, and the late Albert Bazylewicz and Robert P. Bazylewicz; uncle of Peter and Jean Ellen Monkiewicz, Philip Monkiewicz and Roberta and Charles VanderHeyden and the adored great uncle of Arioch, Talia and Emma Monkiewicz. Leona “Libby” (Rubenstein) Grell, formerly of Chelsea, passed peacefully on September 25. Libby was a vibrant woman who was highly respected and will be missed by all who knew and loved her. She was predeceased by her beloved husband, Manuel Grell and is survived by her son, Steve of California; her former son-in-law and his wife, Carl and Sharon Minkovitz of Revere; grandchildren Gina and Ron Ellison, Greg Minkovitz and Brad and Kristina Minkovitz. She was also the adored great grandmother of Tori and Ava; sister to Shirley Cohen, the late Selma Galer, Bertha Seigal and Herbert Rubenstein. Service and burial were held Sunday in Boca Raton, Florida. Memorial donations may be made to the Manuel R. Grell Home Care Agency, 201 Captains Row, Chelsea, MA 02150 or Temple Emmanuel, 60 Tudor Street, Chelsea, MA 02150. Irvin Javier de Paz Castro of Chelsea died tragically at 15 years of age on Sunday, September 20. He was pronounced in the Emergency Dept. at the Massachusetts General Hospital in Boston. Born in Zacatecoluca, El Salvador, the beloved son of Griselda A. Castro Reyes and dear step-son of Carlos Morales, Irvin resided in Chelsea with his parents since 2007. He attended Chelsea schools and was just beginning his freshman year at Chelsea High School. He enjoyed swimming, cars and going to the movies as well as spending some time playing PlayStation video games. His Funeral was conducted from the Frank A. Welsh & Sons Funeral Home, Chelsea on September 24. Interment was at Woodlawn Cemetery, Everett. Octavio Baez of Lynn, formerly of Chelsea, passed away at home surrounded by his loving family on September 25 after a short illness. He was 87 years old. Born and raised in Ciales, Puerto Rico, the loving son of the late Juan Baez and Jacinta Reyes, he settled in Chelsea in 1968 and worked for 27 years for Community Suffolk Farms in Chelsea, retiring in 1993. He moved to Lynn eight years ago. Throughout his life, he was well known for his easy going personality and was also a great conversationalist who love socializing with friends both new and old. 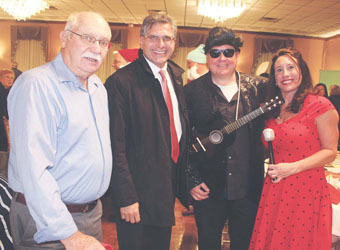 He was the dear brother of Luis Baez and his wife, Anna, Rosa Baez, Melita Baez and the late David Baez and Reina Baez. He is also survived by his beloved niece and caregiver Nancy Baez of Lynn and several nieces and nephews. Albert P. “Buzz” Bazylewicz of Wenham, formerly of Chelsea, passed away on September 23 at the Kaplan Family Hospice House in Danvers after a short illness. He was 71 years old. Born and raised in Chelsea, the beloved son of the late Adalbert and Olga (Osowick) Bazylewicz, attended local schools and graduated from Chelsea High School. He enlisted in the US Army during the Vietnam Era and was honorably discharged. In his earlier days, “Buzz” worked for US Gypsum in Charlestown and later as a Union Iron Worker. He also worked for many years for Kayem Foods in Chelsea as a machinist and equipment maintenance worker. “Buzz’ also resided in Malden for several years before settling with family in Wenham five years ago. He enjoyed playing pool and billiards and was a well-known and admired patron of Amazin Billiards, Malden. He was the loving brother of Roberta Monkiewicz and her late husband, Anthony Bazylewicz and the late Robert P. Bazylewicz; cherished uncle of Peter and Jean Ellen Monkiewicz, Philip Monkiewicz and Roberta and Charles VanderHeyden; adored great uncle of Arioch, Talia and Emma Monkiewicz and dear friend of Thomas and Mary Jane Surette.